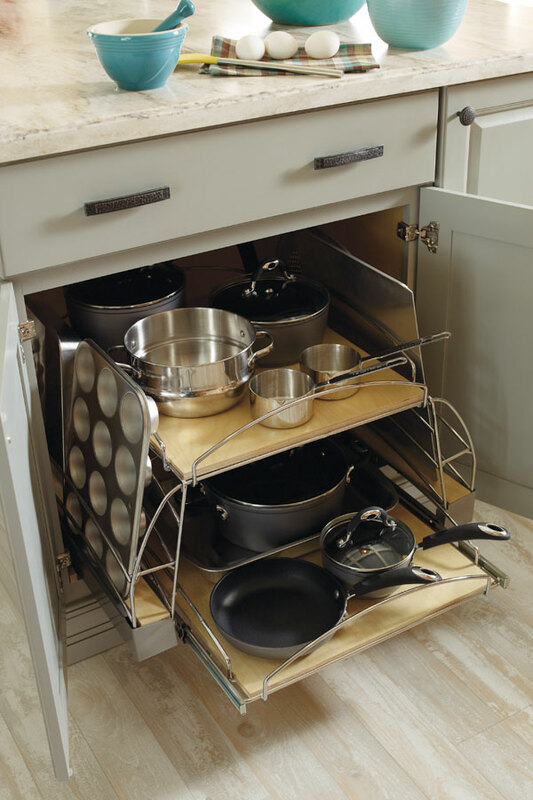 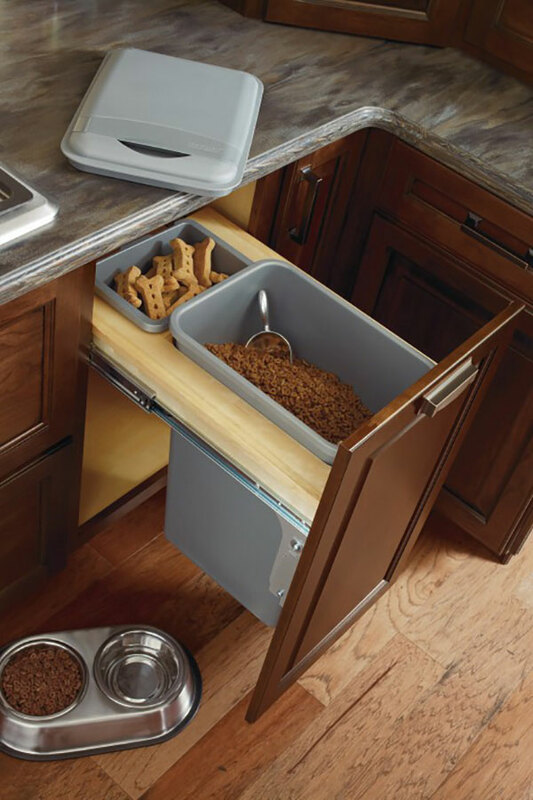 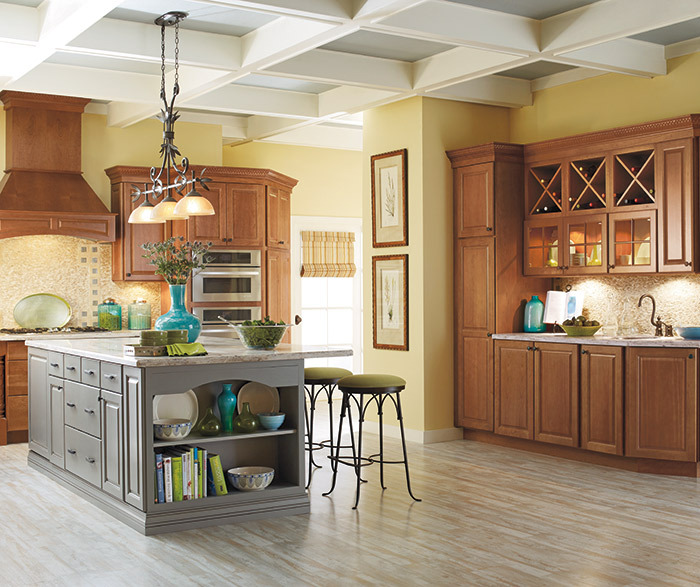 It's important to have one focal point in a kitchen, and two doesn't hurt either, as long as they don't compete. 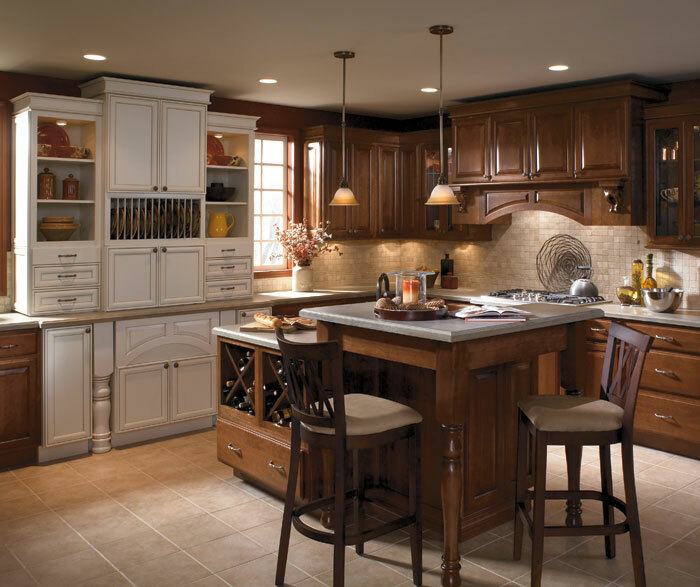 Having a beautiful range hood draws the eye to the cooking area, with raised panel detailing on the arch as a lovely accent to a chimney capped with crown moulding. 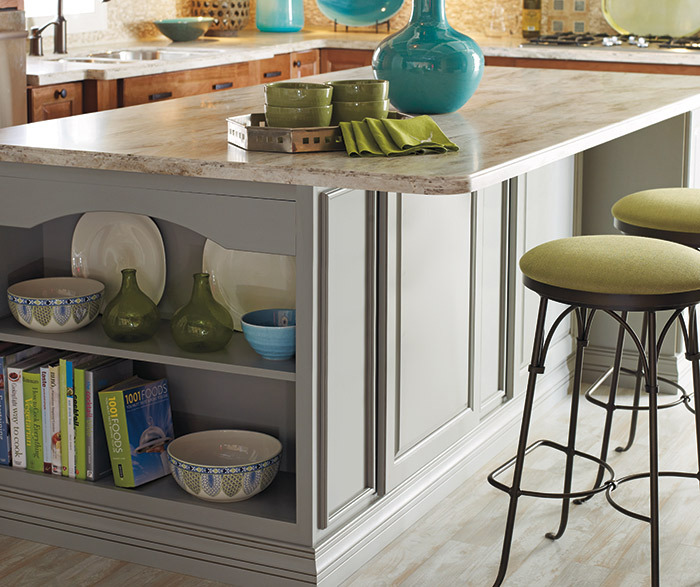 The gray kitchen island is a smooth counterpoint with its soft coloration, and with a simple echo of arched emphasis on the open unit that anchors the piece. 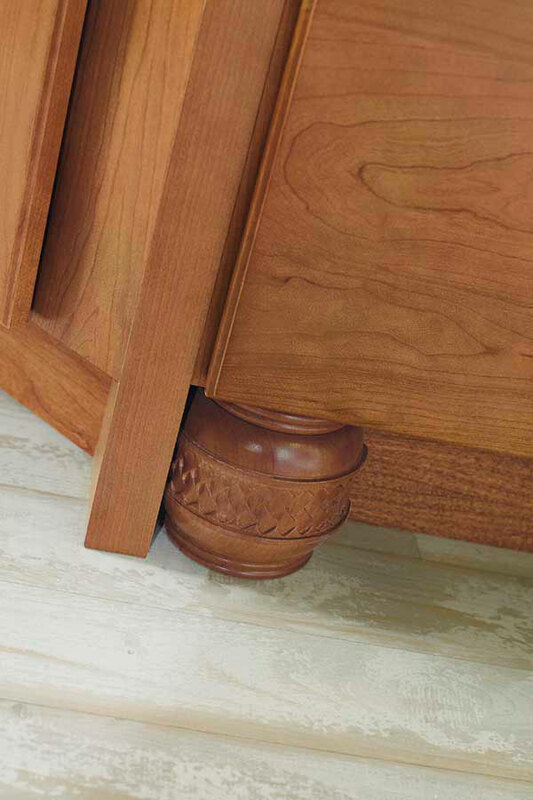 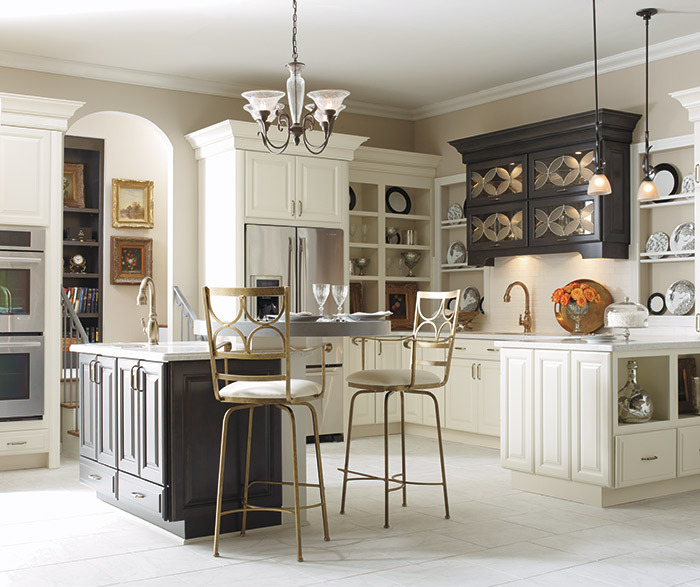 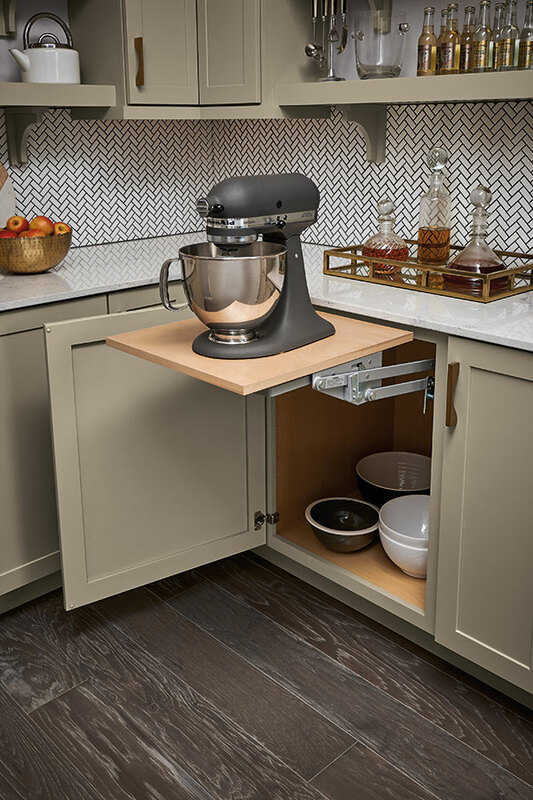 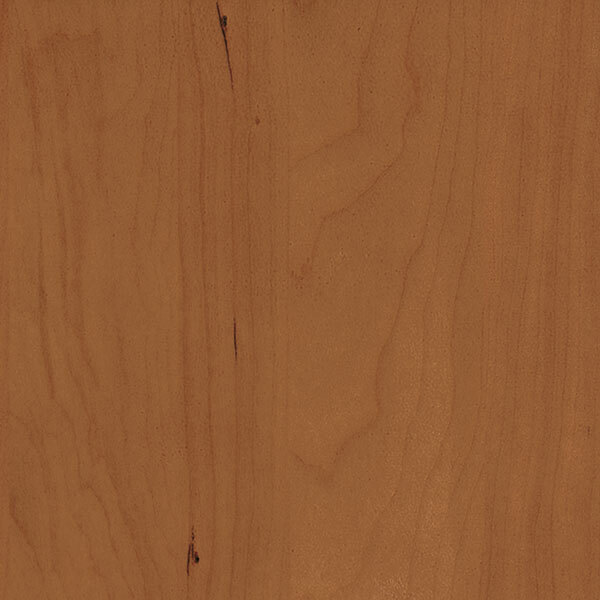 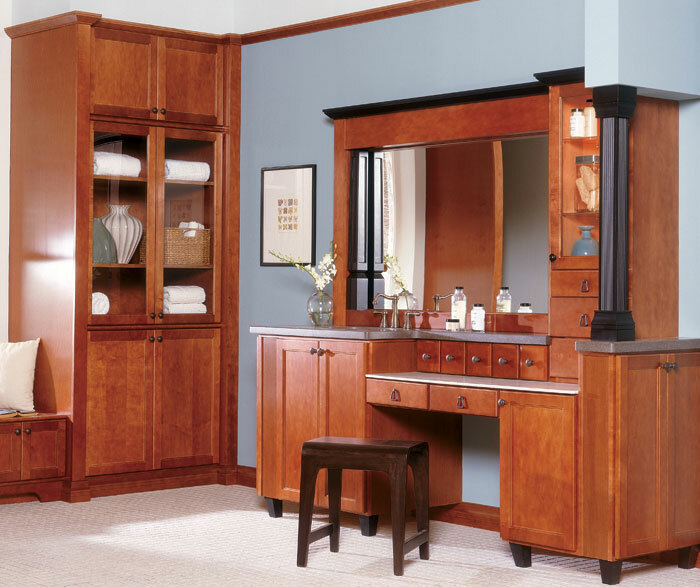 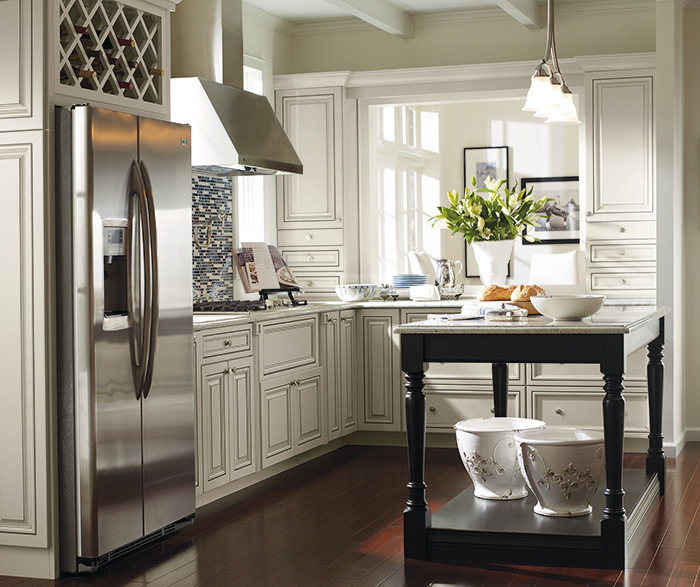 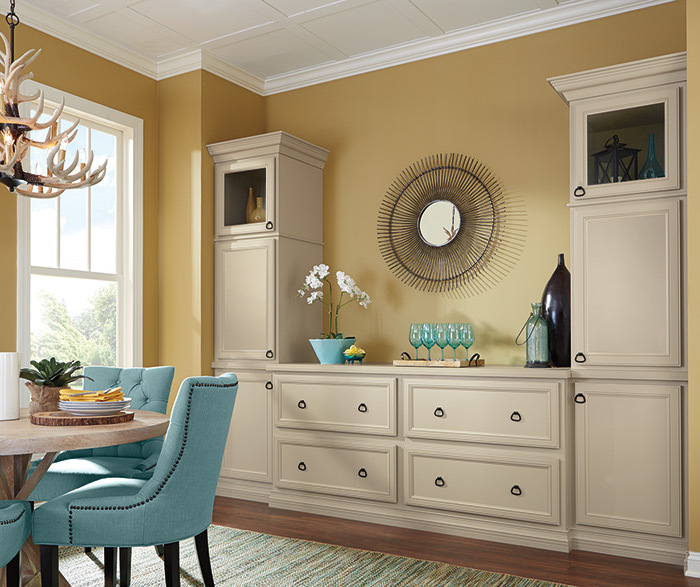 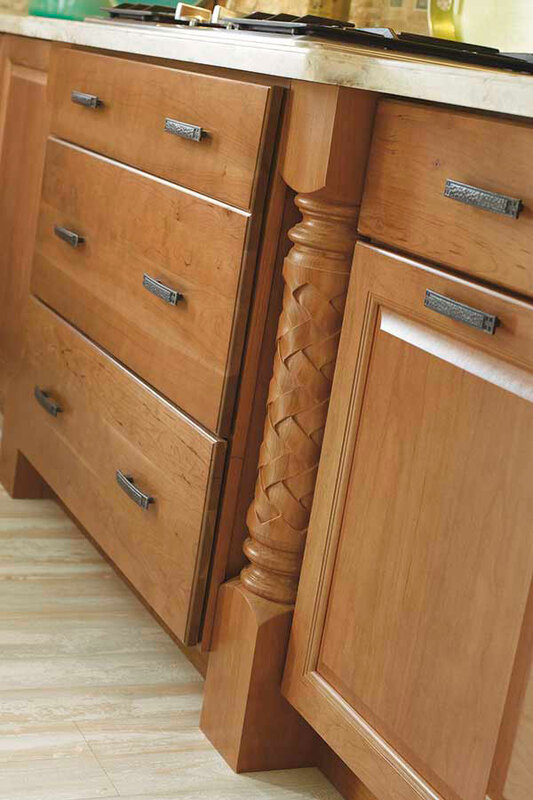 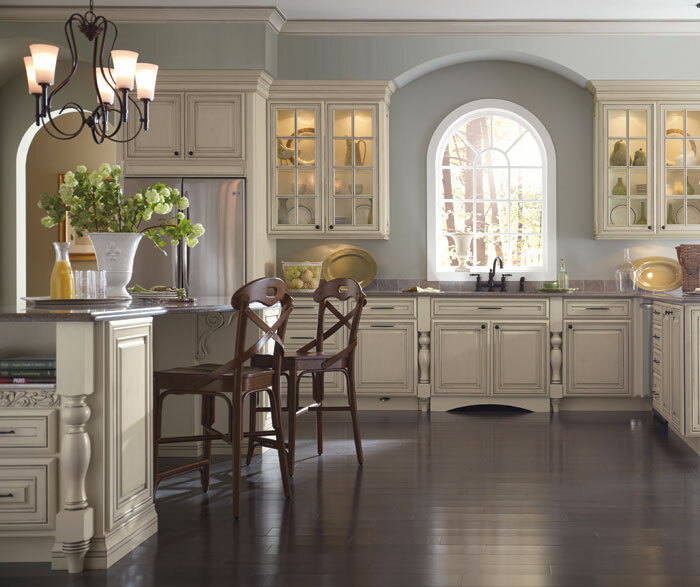 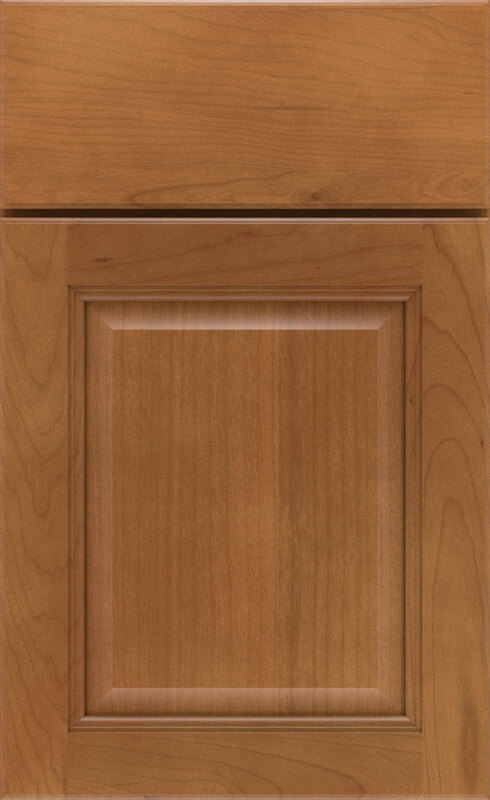 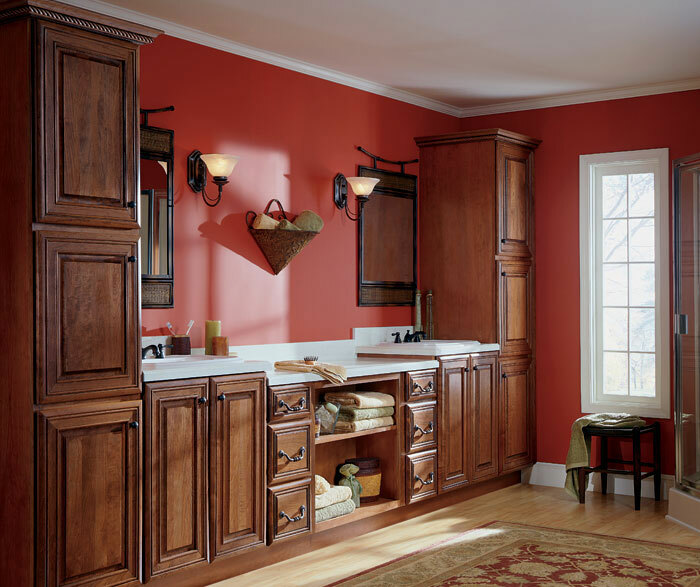 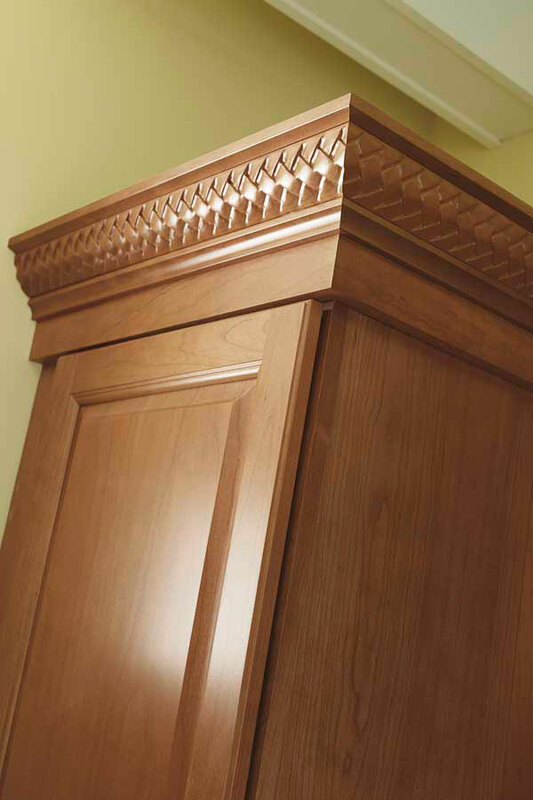 Handsome corbels, carved legs and magnificent crown moulding are all supporting characters for the Cherry cabinets that don't outshine, but, as a whole, create a traditional kitchen design with striking good looks.